HTDC’s programs are focused on building the next generation technology, innovation and manufacturing industries. HTDC offers startups a variety of opportunities to ramp up quickly through its facilities, funding and mentoring. Programs help companies at all stages, overcome challenges and equip companies to create sustainable and globally competitive businesses. HTDC programs are helping to meet the 80/80 Initiative goal to create 80,000 new tech and innovation jobs earning $80,000 or more in Hawaii by 2030. Our programs serve all facets of the tech and innovation sectors through developing places where people come together to create, providing funding and mentoring for the most promising companies and helping employers gain access to Hawaii’s brightest talent. HTDC offers a variety of services to help grow a company from startup to beyond product launch. Our facilities offer low cost office and co-working space. HTDC offers mentoring, educational programs and access to resources to grow your business. Dozens of clients have successfully graduated from incubation and moved into spaces of their own. HTDC has facilities in both downtown Honolulu (Entrepeneurs Sandbox) and in Kihei, Maui (Maui Research and Technology Center). The Entrepreneurs Sandbox is a community center for innovation. Open to all ages, people will be able to learn how to bring their ideas into reality. 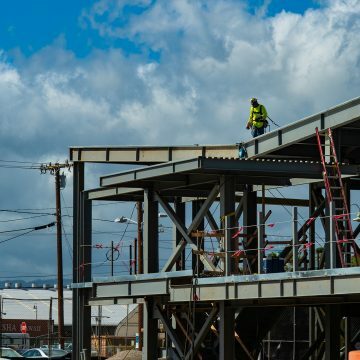 The Sandbox will house a maker space, digital media studio and production facility. The Sandbox is now accepting applications for office space. The Sandbox is a community center for innovators of all ages. It encourages creativity, technology, innovation and entrepreneurship. The facility is approximately 13,500 square feet and features a collaboration and event area ideal for town hall meetings and community gatherings, digital media studio, coworking space, meeting rooms, and a few small offices. It will host a variety of educational programs and activities for all ages. Entrepreneurs Sandbox is located at 643 Ilalo Street, Honolulu HI 96813. Details for co-work membership coming soon. Applications for office space now available HERE. Tech/innovation, startups and companies (Service Providers) that can offer support to clients of the Sandbox. 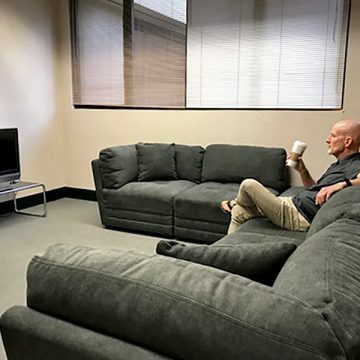 Companies selected may only rent one office. j) *A/C hours will be aligned with general hours of operation and extended for evenings. Hours will vary on weekends and select holidays. Cohana is a new co-working space in MRTC that provides high speed internet which draws entrepreneurs from all over the island. The Maui Research & Technology Center (MRTC) is a technology-based business incubator and facility for advanced tech companies. 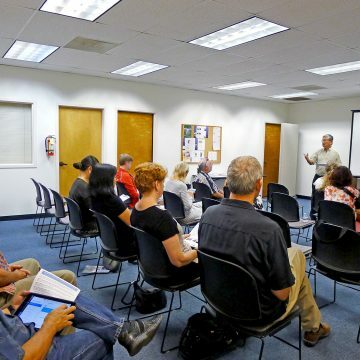 MRTC has large conference room space available for community meetings and events such as Startup Weekend Maui. 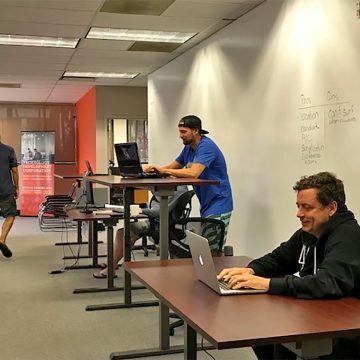 Admission to the Cohana coworking space at the or Maui Research & Technology Center is open to entrepreneurs, startup companies and techies looking for a place with high speed internet access and community. The Cohana offers a variety of coworking space options to meet your needs. Please fill out the CoHana Application if interested. The Neighbor Island Innovation Initiative (NI3) is designed to provide technical and business assistance to small and early-stage companies on the neighbor islands engaged in technology based products or services. Assistance to companies is provided through HTDC’s local NI3 representatives. The goal is to move the company to the next growth stage. NI3 provides business mentoring to startup and small companies to achieve its next growth level. The advantage of this program is that the assistance is provided at no-cost to the company. Mentors on Kauai Island and Hawaii Island meet when and where it is convenient for the company. NI3 helps eliminate the challenge of access to resources because of their location. Distance on neighbor islands can be challenging for companies to get access to resources and this program helps to eliminate that challenge. INNOVATE Hawaii is the state’s NIST Manufacturing Extension Partnership (MEP) National Network Center, which supports small and medium-sized manufacturers to enhance their productivity, growth, and technical performance through programs and services across the islands. INNOVATE Hawaii assists manufacturers looking to improve their business and are willing to invest time and resources to grow their company. INNOVATE Hawaii builds the strength and competitiveness of Hawaii manufacturers through an array of programs and services, including coaching and training, consulting, collaboration-focused industry programs, and grant opportunities. 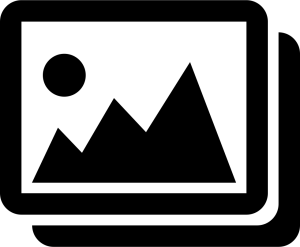 The team includes experienced business professionals with skills in manufacturing systems and methods, strategic planning and implementation, business development, process analysis, and technology commercialization. Technical assistance, training, and consulting services to manufacturers are available to program participants. INNOVATE Hawaii administers the Manufacturing Assistance Program Grant (MAP) and the Hawaii Small Business Innovation Research Grant (HSBIR). INNOVATE Hawaii is a program of the U.S. Department of Commerce National Institute of Standards and Technology Manufacturing Extension Partnership (NIST MEP). The MEP National Network™ is a unique public-private partnership that delivers comprehensive, proven solutions to U.S. manufacturers, fueling growth and advancing U.S. manufacturing. INNOVATE Hawaii is the official representative of the MEP National Network in the State of Hawaii. INNOVATE Hawaii offers a FREE one-hour consultation on the first Tuesday of every month! Email info@innovatehawaii.org to reserve your spot. INNOVATE Hawaii administers HTDC's grant programs. INNOVATE Hawaii seeks applications for various business consulting services needed to support INNOVATE Hawaii's program throughout FY2018-2019. Applications will be accepted July 10, 2017 - June 30, 2019. Click here for more details and to download an application. HCATT is on a mission to improve resiliency, reduce demand, assure supply and foster an energy aware culture. Through a partnership with the Air Force and the State of Hawaii, HCATT manages both the National Demonstration Center for Alternative Fuel Vehicles and the Air Force Energy and Security Integration and Demonstration Center. HCATT’s projects combine demonstration and integration of multiple renewable energy technologies to inform Air Force requirements and concepts of operation. 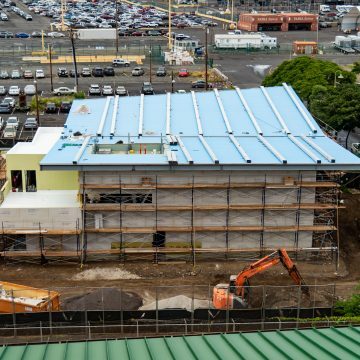 Through partnerships with industry, and local and federal government, HCATT supports the development of ready installations, resilient environmental infrastructure and reliable energy in Hawaii and the Pacific Region. HCATT partnerships include federal funding support from the Air Force Research Laboratory (AFRL), through its Advanced Power and Technology Office (APTO) as well as renewable energy infrastructure development with the Hawaii Hydrogen Implementation Working Group (H2IWG). HCATT has a new address! Pacific Energy Assurance Renewables Laboratory (PEARL) will provide energy assurance and resiliency for the Hawaii Air National Guard. 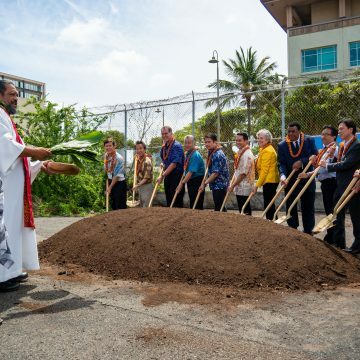 It also will serve as a renewable energy demonstration laboratory and microgrid prototype for the Air Force, Department of Defense and the state of Hawaii. PEARL will incorporate advances in utility scale microgrid planning, cybers security design, and renewable energy generation, distribution and control technologies in an operational military environment. 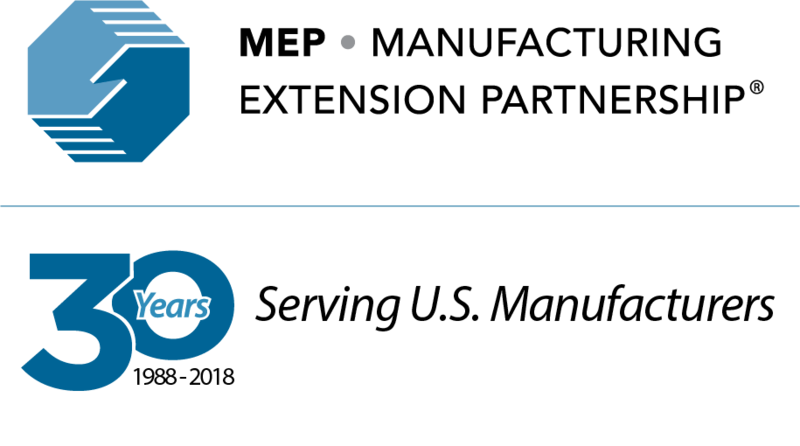 H2 for Fuel, H2 for Electricity - HCATT manages two hydrogen (H2) fueling stations which generate, store and dispense H2 on site. The stations provide fuel for the alternative fuel vehicle demonstrations and indicates opportunities for hydrogen in electric utility applications. Hydrogen Implementation Working Group (H2IWG) - The group convenes stakeholders from public, private and not for profit entities to facilitate the growth of a hydrogen economy in the state of Hawaii. Energy Awareness Activities - HCATT partners with youth leadership development fellowships, Department of Defense senior leader courses, industry internship programs and others to host on-site information briefs and hands-on technology introduction.